Founded by the Armenian-Belgian violinist Khachatur Almazian and the Serbian- Belgian cellist Tamara Savic , the ensemble immediately attracted huge media interest. The premiere took place in Belgrade and was praised by all major Serbian media. The Serbian “Press ” publishing house titled the project as “New classic for the new Millennium”. World known film director, twice Cannes Festival Palm d’Or winner EMIR KUSTURICA invited them as guest stars to make the opening concert of his first Kustendorf Film & Music Festival in 2008. Same year Almazian Symphony did the closing performance of the EXIT Festival , (officially proclaimed as The Best Major European Music Festival ), bringing together more than 10.000 people. The first ALBUM , signed and produced by Sony Music Entertainment in partnership with France Télévisions (French National TV Network), was released in 2013. Performances in Paris by the invitation of UNESCO , closing performance of the Rhythm of Europe Festival , participation at Brussels Balkan Trafik Festival , Balkan tour including the opening of Skopje Summer Festival and Ohrid Festival , Sea Dance Festival , Yerevan ( Armenia ) performances by the invitation of Philip Morris as well as event performances in Dubai , Doha , Hong-Kong , Singapore , Moscow , Athens to mention a few . 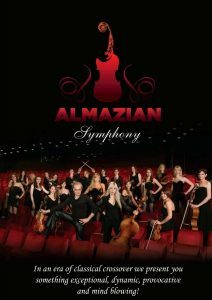 In 2015 Almazian Symphony was RE-INVITED by EXIT Festival, to perform for the pre-opening of the Festival on the City Main Square , attracting an audience of 30.000 people. After their very successful performance in MOSCOW’s most prestigious concert hall – BARVIKHA LUXURY VILLAGE CONCERT HALL ( June 2015 ) , Almazian Symphony took a break from stage concert activity and was honored to put the focus on the SOUNDTRACK recordings for Emir Kusturica’s last movie “ON THE MILKY ROAD ” , starring MONICA BELLUCCI . Khachatur Almazian also had an ACTING ROLE in the film, in various scenes with MONICA BELLUCCI. The premiere took place at the Venice International Film Festival in September 2016. 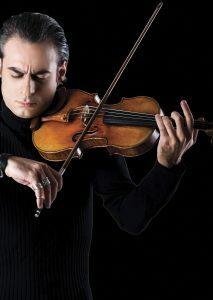 Armenian violinist Khachatur Almazian studied in his native city Yerevan with Petros Haykazian and Villy Mokatsian, and later in Brussels with Igor Oistrach, in New-York with Misha KeylinÂ andÂ in Paris with Eduard Wulfson. He performed and recordedÂ for Radio and TV with Shanghai Symphony (China), Ontario Philharmonic (Canada), Belgian Radio Philharmonic, UACJ Mexico, Moravian Philharmonic (Czech Republic), National Orchestra of Belgium, Vojvodina Syphony (Serbia), Philharmonie der Nationen (Germany), Virtuosi di Praga, Charlemagne Orchestra for Europe (Belgium), Geneva Soloists (Switzerland), Dubrovnik Symphony (Croatia), I Fiamminghi (Belgium), etc. He recorded CD for the SONORIS label (USA)Â with Charlemagne Orchestra. 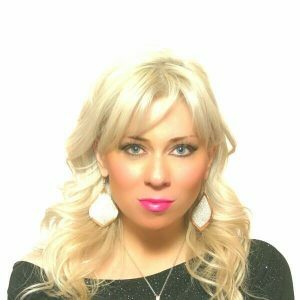 In 2011 Almazian was invited asÂ President of the Jury for the beauty contest Miss Serbia. Khachatur Almazian is part of the reference book “Armenian Musicians of the world” listed with renowned artists such as Charles Aznavour, Aram Khachaturian, Cher, MichelleÂ Legrand, HeleneÂ Segara, Alain Altinoglou, Sergey Khachatryan, Narek Hakhnazaryan.